This is an information article by our Canoga Park dentist discussing vitamins and health. Vitamins are organic compounds that the body requires in order to stay healthy, and which should be taken in with food, except for vitamin D which can be synthesized with the aid of sunlight. Provided you eat a varied diet with plenty of fresh fruit and vegetables you should get all the vitamins, or at least, almost all the vitamins you need. There are 13 known essential vitamins with various important functions involving body systems including cell growth and repair, digestion, and reproduction. There are two main concerns these days though, with regard to a healthy diet. Many foods that we eat these days are not sourced locally, but instead are flown in from faraway places. This gives us tremendous choice of foods like fruit and vegetables, and the opportunity to eat them all year round, but, often they are not so fresh by the time we buy them in the stores. This means that their vitamin content is likely to be somewhat reduced. Many have to be specially treated in order to delay ripening of fruits and keep vegetables fresh, and this in itself is questionable as regards health. 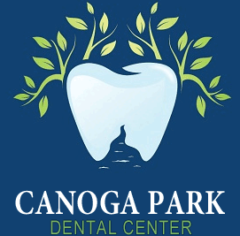 Dentist Canoga Park CA: the other big problem is that many people these days rely excessively on take-away meals and fast foods instead of preparing meals from fresh ingredients. Many such manufactured and processed foods are high in undesirable saturated fat and refined carbohydrate, and low in nutrients especially minerals and vitamins. If you have any type of restrictions with your diet, it may be even more difficult to get the vitamins and nutrients you need. Those who suffer from food allergies, especially, might find it even harder to get the sufficient amounts of vitamins. Canoga Park Dentist: vitamin supplements are the easiest way to give your body what it needs for excellent health. You can use vitamins and supplements in your normal diet, although you will want to choose them accordingly with what you need and what your diet consists of. Multiple vitamin and mineral supplements, contain a variable number of essential and non-essential nutrients, and provide a convenient way to take a variety of supplemental nutrients from a single product, in order to prevent vitamin or mineral deficiencies, as well as to achieve higher intakes of nutrients believed to be of benefit above typical dietary levels. A reputable brand of multivitamin should give you all the nutrients required in the right quantities as recommended by general agreement. There are no proper controls over quality or content of vitamin supplements in most countries as yet, so it is important to get them from a trusted source. Some vitamins, such as C, are vital for many different reasons, and are safe in large doses. You can take rather more than the recommended daily allowance without risk, although the benefits of taking excessive amounts are open to question. Other vitamins like A, are considered detrimental in large doses so you need to keep within the guidelines. Dentist Canoga Park CA says that daily vitamin supplements, in general, can help to maintain daily energy requirements which are so important, especially if you have a demanding job.